As Stephanie Schnittger understands, it takes more than a command of numbers to help lead a major health system’s finance department. The senior vice president of finance for Inova Health System began her career as an auditor for Ernst & Young LLP before joining Inova as its senior director of finance in 1997. 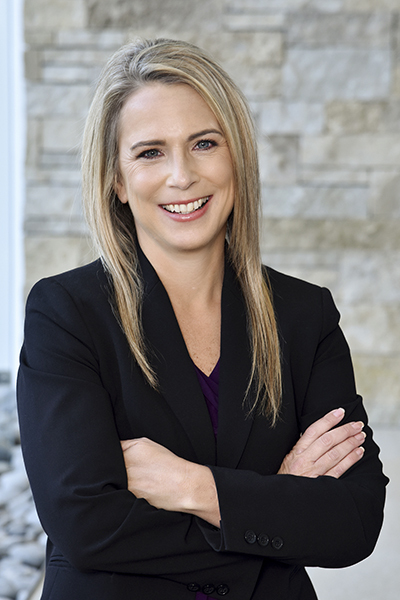 Over the course of more than twenty years with the company, Schnittger worked her way through the ranks before assuming her current position in January 2018. In that time, Schnittger has developed a holistic approach to managing her team that goes beyond simply looking at the company’s ledger. Between 2015 and 2018, Schnittger and Stottlemyer worked closely together on the strategy surrounding the Inova Schar Cancer Institute. The Center is scheduled to open in the spring of 2019, and it will offer patients services such as imaging, proton therapy, oncology infusion, and more. The project required Schnittger to leverage her financial, operational, and regulatory expertise as she helped develop a profitable, long-term business strategy for running the cancer center, while balancing that with tactical regulatory issues such as how changes in 340(b) pricing and reimbursement could impact the plan’s long-term viability. In addition, throughout this process, Schnittger’s creative problem-solving tactics were essential to overcoming obstacles and delivering solutions that satisfied all stakeholders in the enormous project. This was particularly evident in developing the design for the future center’s cancer programs. Her collaborative style and willingness to challenge common wisdom have become hallmarks of Schnittger’s leadership approach to those who have worked with her. Schnittger’s broad knowledge base, intense focus, and ability to multitask have allowed her to effortlessly handle a wide variety of responsibilities for Inova while also devoting time to her family. Above all, Schnittger’s focus, collaboration, and expert decision-making are in the service of a greater mission, her colleagues say. Stephanie Schnittger’s connection to major healthcare developments extends beyond her work at Inova. While her husband was working on Capitol Hill for then-minority leader—and future speaker of the house— John Boehner during the debate over the Affordable Care Act, Schnittger and her children were attending an event near Disney World. The debate in Washington DC prevented Boehner and Schnittger’s husband from attending the function as planned. Because she was pregnant with her fourth child at the time, Schnittger was unable to ride any of the rides, so her kids rode alongside Boehner’s wife, Debbie, and another colleague. “We have been living healthcare personally, politically, and professionally over the past many years,” Schnittger says. BB&T is one of the largest financial holding companies in the US with assets of $222.7 billion, more than 37,000 associates and more than 1,900 locations in 15 states and Washington, DC. Founded in 1872 and headquartered in Winston-Salem, BB&T offers a full-range of consumer and commercial banking, securities brokerage, asset management, mortgage and insurance products and services. US Trust Institutional Investments & Philanthropic Solutions helps you anticipate and address your nonprofit organization’s or institution’s needs and provides ongoing guidance on industry-wide best practices in governance, strategic resource development, and administration. Our dedicated team of specialists provides a mission-based approach to investment management, while adhering to the bank fiduciary standard.